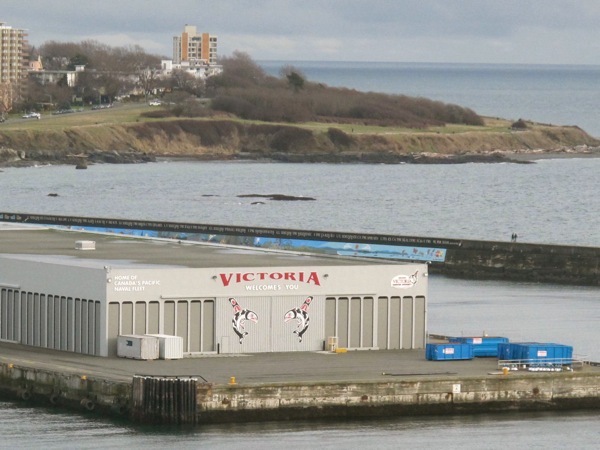 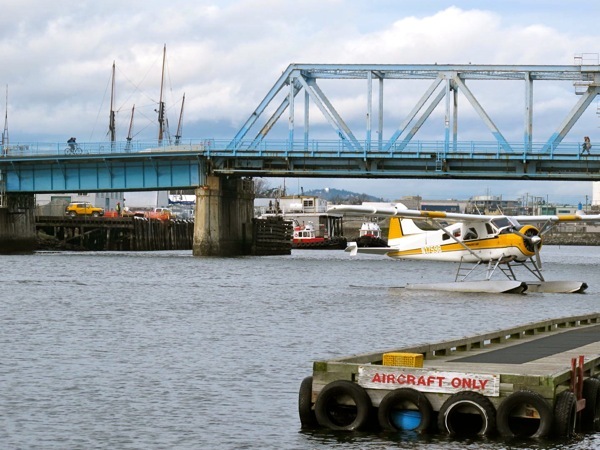 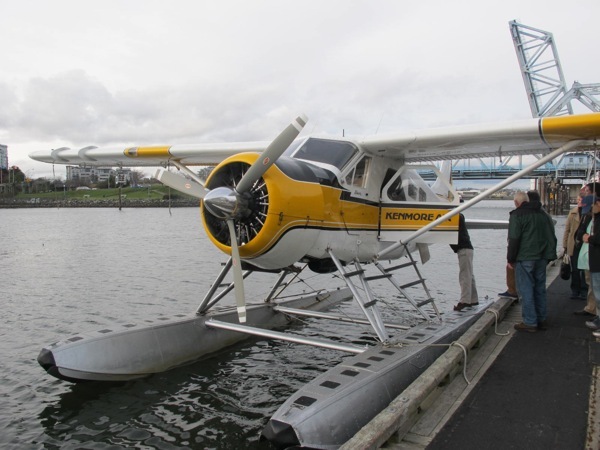 Kenmore Air arrives at the air terminal in Victoria's Inner Harbour on Vancouver Island. 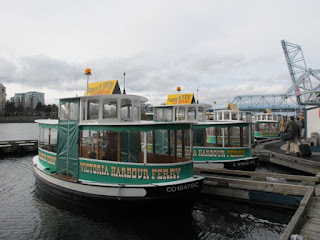 Boarding Kenmore Air takes you past the sweet fleet of Victoria Harbour Ferry. 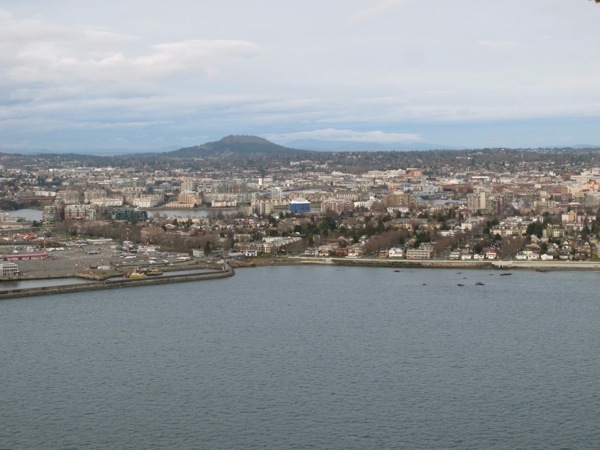 The flight between Victoria and Seattle takes around an hour. Soon we're up in the air. Victoria is layed out below us. 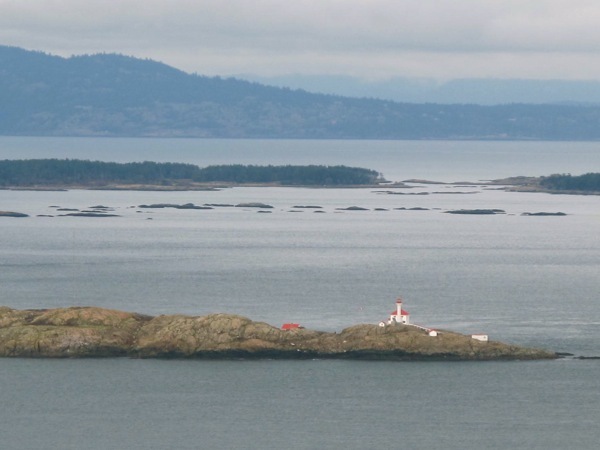 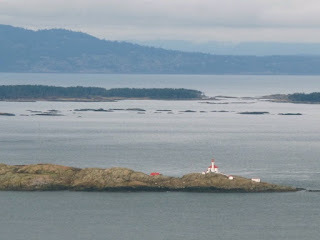 The lighthouse at Trial Islands off the southeast coast of Vancouver Island. 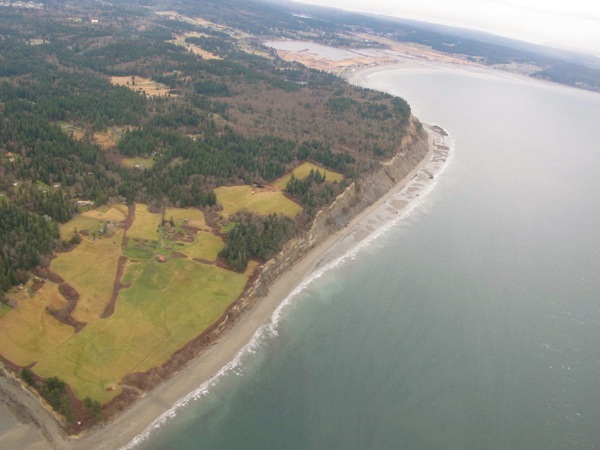 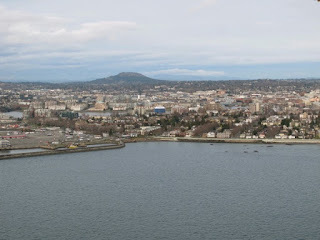 Fun to fly over Whidbey Island, WA my home -- here's Double Bluff and Useless Bay. 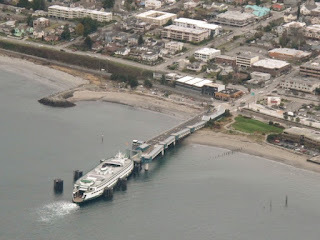 Washington State Ferries docking at Edmonds. 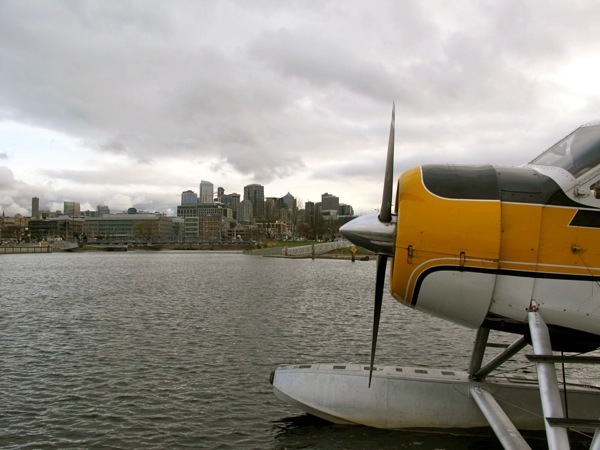 Another scenic flight comes to an end on Seattle's Lake Union.